iTeach with iPads: To save, to grade and to share.....oh my! One of our biggest challenges this year with the ipads was sharing projects and assignments. Students need a place to save projects and a way to share with their parents and their teachers. Saving was easy..... the ipad saves all projects automatically without even hitting a save button. Since all our District's ipads are associated with one iTunes account, saving to the "cloud" was not an option for us. Down fall #1 ......since it can be accessed by everyone, changes and deletions can be made by everyone. We did find a few ways to make it more secure but it was still out there for the whole district to access. Down fall #2........since everyone can see, it would be unethical to give students feedback and grades. Edmodo was what really began to shape my "paperless" classroom. I am able to give assignments, quizzes, polls and students can submit assignments privately to the teacher or create class discussions, like Facebook. Students can access Edmodo on all mobile devices and computer on the internet, so student can complete homework. 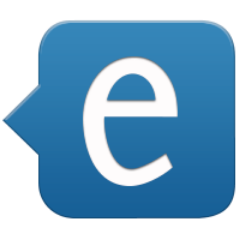 Although I did not use the parent part of Edmodo this year, next school year, we will use Edmodo as our main tool for home and school communication with the private messaging and calendar. 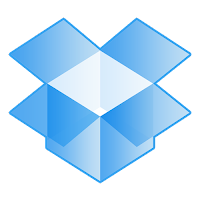 Although Dropbox was a little more of a chore to set up than Edmodo, in the last few weeks of school, we created an account for each student. They were then able to save all of their work to the Dropbox "cloud" and send a link to their teacher to grade it. Our students do not have access to email outside emails, like their parents, but with the Drop box account, they can log on anywhere and have access to assignments and projects to edit or share.